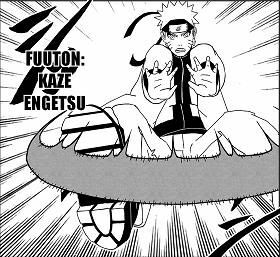 Wind Release:Surrounding Gust (100 Chakra) Shields against Incoming Ninjutsu,excludes Katon. Requirements: 500 Ryou. 2 AP. Requirements: 400 Ryou. 2 AP. Requirements: 600 Ryou. 3 AP. Requirements: 500 Ryu. 3 AP. Requirements: 500 Ryou. 3 AP. Wind Release: Breeze Reduction (50 chakra/turn,passive) Reduce damage from all Incoming Futon, Raiton, and Suiton techniques by 25. Maximum of twice per turn. Requirements: 350 Ryou. 2 AP. Requirements: 375 Ryou. 2 AP. Requirements: 300 Ryou. 1 AP. Wind Release: Wind Sphere (100 chakra) Guards against one Technique aimed at the User's square. Cannot block Fire Techniques. Requirements: 450 Ryou. 3 AP. Requirements: 300 Ryou. 2 AP. Requirements: 950 Ryou. 3 AP. Possess Generated Pull. Requirements: 1000 Ryou. 4 AP. Requirements: 1200 Ryou. 3 AP. Possess Binding Gust. Requirements: 900 Ryou. 3 AP. Possess Wind Breakthrough. Requirements: 1100 Ryou. 3 AP. Possess Wind Sphere. 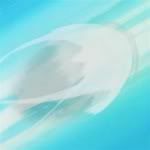 Wind Release: Air Shield (150 chakra) Reflects all Throwing Items back at an opponent. Does not include Exploding Tags or Shadow Shuriken. 3 times per 6 turns. Requirements: 850 Ryou. 3 AP. Requirements: 1250 Ryou. 3 AP. Possess Oxygen Steal. Requirements: 1200 Ryou. 3 AP. 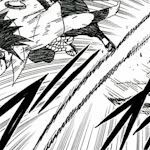 Wind Release: Air Movement Sense (125 chakra) Dodge one technique or disable opponents non-genjutsu technique that makes them unable to be attacked. Becomes an avoid technique if used against a Raiton or Fuuton technique. Requirements: 1300 Ryou. 3 AP. Possess Vacuum Sphere. Requirements: 1400 Ryou. 4 AP. Requirements: 1200 Ryou. 4 AP. Requirements: 1500 Ryou. 4 AP. Possess Sudden Wind. 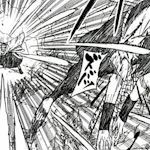 Wind Release: Fleeting Freedom (275 Chakra) Avoids All techniques from one opponent, including inevitables and Genjutsu. Once per battle. Requirements: 1500 Ryo. 5 AP. Wind Release: Summon Tornado (200 Chakra) Creates a Tornado at the desired grid location. Deals 150 life/stamina damage to anyone at location for 3 turns. Can have a maximum of 2 tornadoes on field at the same time. Tornadoes can be created at a maximum of 4 grid squares apart from each other. Requirements: 1200 Ryou. 3 AP. Possess Summon Tornado. Wind Release: Tornado Family (250 Chakra) Creates 2 Tornadoes at adjacent grid locations. Each tornado deals 100 life/stamina damage to anyone at those locations for 3 turns. Twice per battle. Can only have one Tornado Family on field at a time. Can be used if there is one other Tornado on the field. Requirements: 1350 Ryou. 3 AP. Possess Summon Tornado. Wind Release: Tornado Merge (75 Chakra) Merge one Tornado into another. Tornadoes being merged must be at adjacent grid locations. The Tornado being merged is absorbed by its neighbour. The resulting Tornado gains half the damage of the Tornado that was merged as well as half the time duration (Rounded down to the nearest turn). Three times per battle. Can only be used if there are 2 or more Tornadoes on the field. Requirements: 1200 Ryou. 4 AP. Possess Fierce North Wind. Requirements2000 Ryou. 4 AP. Possess Torpedo Bomb . Requirements:2275 Ryou.4 AP. Possess Slashing Tornado. Requirements: 2350 Ryou. 4 AP. Possess Ripping Wind Blades. Requirements: 2200 Ryou. 4 AP. Possess Slicing West Wind . Wind Release: East Wind Defense (225 Chakra) Guards against an Attack except inevitables/obliterations. User absorbs half the chakra used for that attack. Once per battle. Requirements: 2100 Ryou. 4 AP. Possess Air Shield and Sudden Wind. 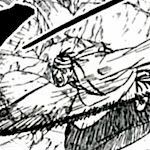 Wind Release:Erasing Gale (150 Chakra) Cancels Two attacks from an opponent, One Can be Genjutsu costing 150 or lower. Second Effect:Three times per battle. Requirements: 2475 Ryou. 4 AP. Possess Pressure Damage. Wind Release:Low Air Pressure (150 Chakra,passive) Reduces all Wind Techniques by 200 damage for 2 turns,affects all players but not Expertises or Birthrights.once per battle. Requirements: 2600 Ryou. 4 AP. Possess Flattening Winds and Wind Sphere. Wind Release: Deafening Winds (125 chakra) Guards against All Lightning Based technique, or release one ally from a sound based technique.Second Effect: 3 Times per Battle. Requirements: 2750 Ryou. 4 AP. Possess Wind Sphere. Wind Release:Breeze Dome (200 chakra)Shields all jutsu for you and one ally. Includes Inevitables but not Genjutsu and Fire-Based Techniques.DP:400 Once per battle. Wind Release: Mixed Up Scent (250 chakra)Cancels Opponent's Sensory Skill used on the last turn.If used before escaping, affected opponent has one less minute to attack you. Twice per battle. Requirements:2300 Ryou. 4 AP. Possess Petal Dust Dance. Requirements:2200 Ryou. 4 AP. Possess Atmosphere Rage. Requirements:2150 Ryou. 4 AP. Possess Drilling Air Bullet. Requirements: 2000 Ryou. 4 AP. Possess Tornado Family. Wind Release: Multiple Vortex Tornado (225 Chakra) Creates 2 Tornadoes at a selected grid location. Each Tornado deals 175 life/stamina damage to anyone at that location for 3 turns. Twice per battle, can only have one Multiple Vortex Tornado on field at a time. Can be used if one other Tornado is on the field. Wind Release: Satellite Tornado (100 Chakra) Creates a Tornado at an adjacent grid location to either a Multiple Vortex Tornado or a Summon Tornado. This Tornado deals 50 stamina damage for 2 turns. Twice per battle. Requirements: 2300 Ryou. 4 AP.Ripping Wind Blades and Cutting Whirlwind. Requirements: 2150 Ryou. 4 AP. Possess Fleeting Freedom. *Gain or lose life/chakra/stamina until both of you have life/chakra/stamina equal to half of the user's max values. **Both you and the opponent are Impaired 200/Slow for 3 turns. Requirements: 3750 Ryou. 6 AP. Possess Oxygen Steal, Oxygen Syringe Injection and Vacuum Cut. Requirements: 3275 Ryou. 6 AP. Possess Vacuum Cut and Wind Crescent. Requirements:3800 Ryou. 6 AP. Possess Breeze Dome. Wind Release:Wall of Winged Tengu (400 Chakra) Negates and Reflects All Attacks including Inevitables to the opposing team,can only be used once. Requirements:3500 Ryou. 6 AP. Possess Heaven Bound Hurricane and Blade of Wind. Requirements:3300 Ryou. 6 AP. Possess Air Pressure and Erasing Gale. -Stops an opponent from moving in air for three turns,Cant Interrupt/Avoid/Block. Requirements: 3200 Ryou. 7 AP. 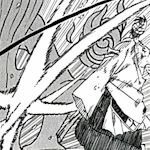 Wind Release: Air Sentinel Technique (250 Chakra to Summon)300 life/300 chakra Interrupts any technique costing under 250 chakra, loses 50 chakra automatically.once per battle. Requirements:3800 Ryou. 6 AP. Possess Vacuum Wave. Requirements:3625 Ryou. 6 AP. Possess East Wind Defense. Wind Release: Rejuvenating South Wind (200 + ### Chakra) Regain 250 Life/Stamina. All wind attacks gain +50 chakra damage for 3 turns for every 25 chakra added [Max chakra added is 150]. Can't interrupt. Once per battle. Requirements:5500 Ryou. 7 AP. Possess Summon Tornado, Tornado Family,Vortex Tornado, and Satellite Tornado. These skills are based on the Enhanced Fujita Scale; a system used in Cities to rank the strength of tornadoes based on the damage caused where EF0 is the lowest and EF5 is the highest. 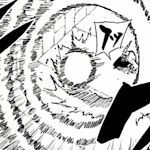 *EF0 (50 Chakra) All Tornado skills take 25 less Chakra to use. Once per battle. *EF1 (75 Chakra) All Tornadoes gain +50 Chakra damage for the duration of the Tornado. Once per battle. *EF2 (100 Chakra) Damage done by all Tornadoes becomes "can't block". Once per battle. *EF3 (150 Chakra) All Tornado skills gain "blinds opponent for the duration of the Tornado". Once per battle. *EF4 (200 Chakra) All Tornadoes gain +1 turn to their duration. Once per battle. *EF5 (250 Chakra) All Tornadoes gain +75 life/stamina damage for the duration of the Tornado. Once per battle. *These effects can stack with each other.